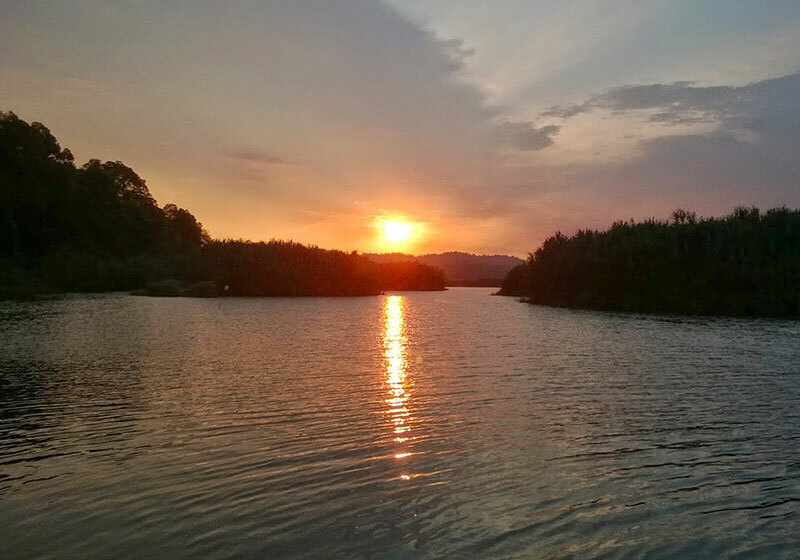 Located about 85 kilometres from Kuantan, Lake Chini is Malaysia‘s second biggest natural freshwater lake, with an area of 12.565 acres; Lake Chini consists of 13 interconnecting water bodies, each with its own charateristics. Historians believe that Lake Chini is the site of an ancient Khmer city but the local folks, on the other hand, believe that the mysterious lake is guarded by a Loch Ness type monster named Naga Sri Gumum . There were reports of occasional sightings of the monster but unfortunately they were not scientifically proven. Lake Chini is blessed with vast treasures of nature, which is rich in biological resources. There are 138 species of territorial flora, 300 species of non-aquatic vertebrates and 144 species of freshwater fish. Thousand of white and pink water lilies will emerge on the lake from August through September, transforming the lake into a floating multi-coloured garden. On the fringe of the lake, especially at Kampung Gumum, there is a large concentration of the aborigines of the Jakun tribe. They still live their old traditional ways and fine woodcarvings and blowpipes are available to visitors. Short Description: Chini Lake, better known locally as Tasik Chini, is a lake in Pekan District, Pahang, Malaysia. The lakeshores are inhabited by the Jakun branch of the Orang Asli.